Harvest Health: Plastics - Harmful to our health? It may surprise you to learn that the most prevalent exposure to environmental pollutants is in the house (providing the workplace is not a problem). One of our biggest exposures is to plastic, and there is growing evidence that our food and drink can be contaminated by harmful chemicals from some types of plastic. It is the daily cumulative exposure that is the problem. 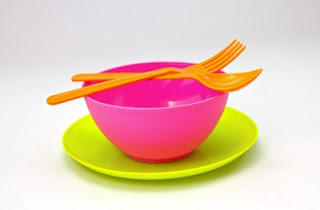 Many plastics contain plasticisers which are used to make hard plastics soft. 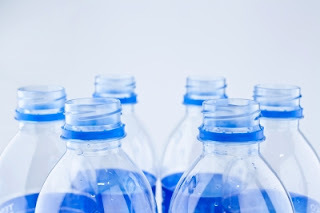 Phthalates, such as the well known BPA (Bisphenol A) have a small molecular structure and can be readily absorbed - meaning they can be transmitted into food and digested, or absorbed through the skin. All plastics have phthalates in them, BPA is just deemed more dangerous. Plastics are a problem in our bodies because they are endocrine disruptors, meaning they can mimic our natural hormones, our reproductive hormones in particular. The young are the most vulnerable to exposure because of their lower body weight and because their growth and development are strongly influenced by hormones. While these compounds are undoubtedly hazardous at high levels of exposure, scientific opinion is divided over the risk from the much lower levels that we’re exposed to every day in our food. There is, however, growing scientific evidence that even at these lower levels of exposure, phthalates and BPA may be causing problems such as infertility, obesity, breast cancer, prostate cancer, heart disease and diabetes. Avoid fresh meat, fruit or vegetables wrapped in cling wrap, as many supermarkets and greengrocers are still using cling wrap containing PVC. Remember, it is the cumulative exposure that is the problem. If we can decrease our exposure wherever possible, the occasional contact with plastic is less likely to be a problem.